1 Bedroom Retirement For Sale in for Guide Price £300,000. 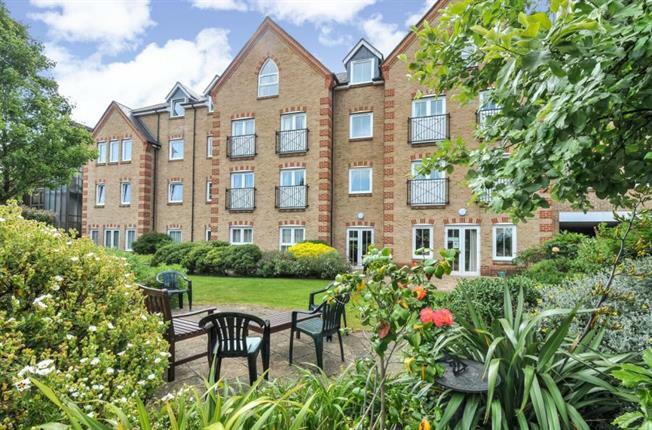 Precista Court is a delightful complex of retirement apartments offering independent living for the over 55's and is situated in the heart of Orpington town centre. The High Street location means all the facilities of the town are close by as well as the Priory Gardens where you can enjoy walks around the ponds and historical buildings. This apartment is situated on the ground floor of the building with windows facing south east to enjoy the morning sunshine. Inside, you will find a double bedroom with built-in wardrobes, shower room with WC and wash hand basin plus a large living/dining room leading to the kitchen. The kitchen is well fitted with built-in appliances and cupboards and is the only one in the building that has a window to the side. The apartment also comes with the benefit of an allocated parking space behind remote controlled electric gates. Communal facilities at Precista Court include a residents lounge, guest bedroom suite for visitors and a part time scheme manager.